The year 2003 saw the completion of work on the re-creation of the famous Amber Room justly regarded as the "eighth wonder of the world". The fact that the famous interior has been opened to the public in the Catherine Palace at Tsarskoye Selo during the celebration of the tercentenary of St Petersburg is deeply symbolic. The-Amber Room, a work of art produced both by eighteenth-century masters and present-day restorers, who have brought it back to life, serves now as a symbol of the Catherine Palace, one of the most brilliant museums of the northern capital of Russia. 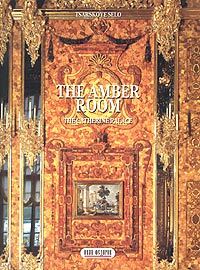 The Amber Room with its mysterious history has attracted general attention of Russian society in the course of more than half a century. The investigation of a series of documents found in German archives enabled researchers to discover new facts and to correct some mistakes associated with the creation of this historical monument. Изд-во Иван Федоров. 2004 г.